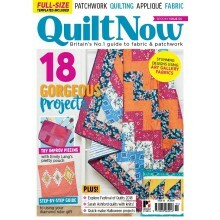 This month, we’re sharing the quilting love, with a charming collection of gorgeous quilts and thoughtful gifts we hope you’ll fall head over heels for. 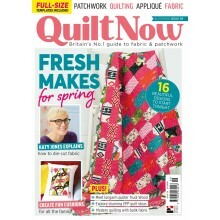 We’re looking ahead to spring and have packed this issue with step-by-step projects to refresh your home décor. 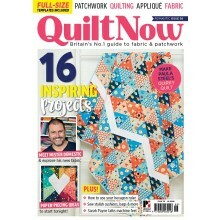 And don’t miss out on part two of our exciting new quilt-along with Jennie Rayment! 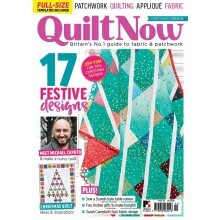 This issue comes with a gorgeous pattern gift and a template sheet for the projects inside the magazine. Make the amazing McCall’s 7661 side stripe trouser pattern and choose between the different lengths and styles, plus add an on trend waist tie and don’t forget those pockets. 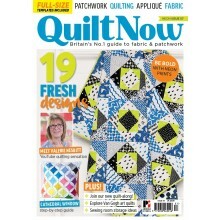 This month, we’re diving head-first into the new year with 19 fresh designs to kick-start your quilting, including everything from geometric quilts to cute cushions and bags. 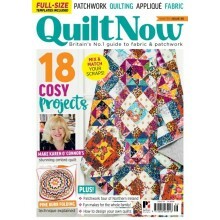 Enjoy our exclusive block-maker templates and project book from Paula Steel and learn to sew a world of new quilting blocks. 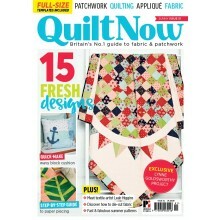 And don’t miss out on part one of our exciting new quilt-along with Jennie Rayment! Whether you’re a casual or a smart dresser, we have your wardrobe covered this month with two fantastic patterns. The McCall’s M6953 dress is a must have for the party season, but equally at home as a pretty spring dress. 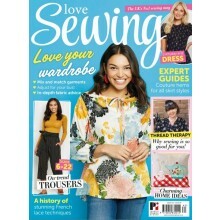 With four different hem lengths, a fitted princess seamed bodice and box pleats it’s a great way to improve your skills. For a quick and comfortable weekend wear pattern try the Simple Sew Poppy top and dress, which is great for a beginner with a soft pleats that drape from the neckline and an easy back keyhole button closure. 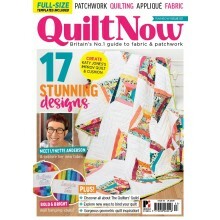 This month, we’re embracing the rainbow, providing you with all the projects, features and inspiration you need to inject some colour into your quilty world. 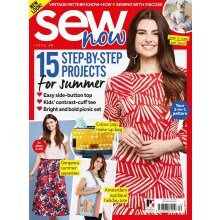 This month’s free Kwik Sew 4215 pattern is the perfect summer dress, with on-trend ruffle sleeves and two neckline choices – V-neck and round neck – making it great for weddings and garden parties. Add two versatile separates to your wardrobe with the free Simple Sew Sophia Top and Skirt pattern. 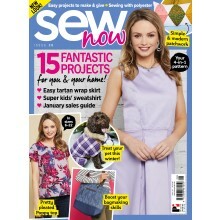 It’s a great way to build your sewing skills and master zips and pleating.